Following is the list of selected candidates in order of merit for MSc Entrance Examination held on 8th June 2017. The candidates are informed to be present with their original documents for counseling on Wednesday, 14th June 2017 at 10:00 am sharp in the Auditorium Hall, Academic Administration, BPKIHS, Dharan. 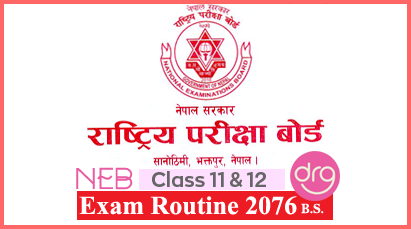 You may download Entrance Exam Result Of MSc Courses 2017/2074 from official web page of BPKIHS HERE. The candidates are informed that all the required documents shall be verified in original at the time of counseling and if the original documents are not available, or found to be false or tampered with, the candidate will not be given admission, and he/she may be liable for legal action. 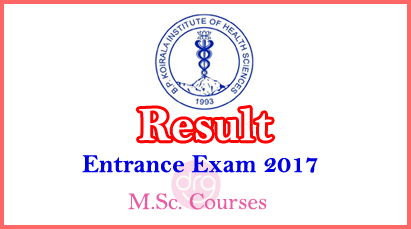 0 Response to "Entrance Exam Result Of MSc Courses | Held On 8 June 2017 | 2074 | BPKIHS"